Over the year the Safety Cadets have met once a week to tackle any issues or concerns the children or staff may have over the safeguarding of the children online and around school. Over the past year a new team has formed and we have been making the school aware of whom to come to when they need any support. 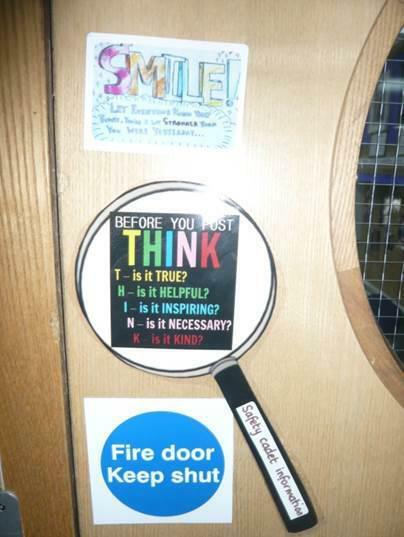 Challenge two: We have placed safety messages and information around the school for the children to access. We have provided information about staff the children can talk to if they have an worries or phone numbers they can call if they don’t want to talk to someone they know. 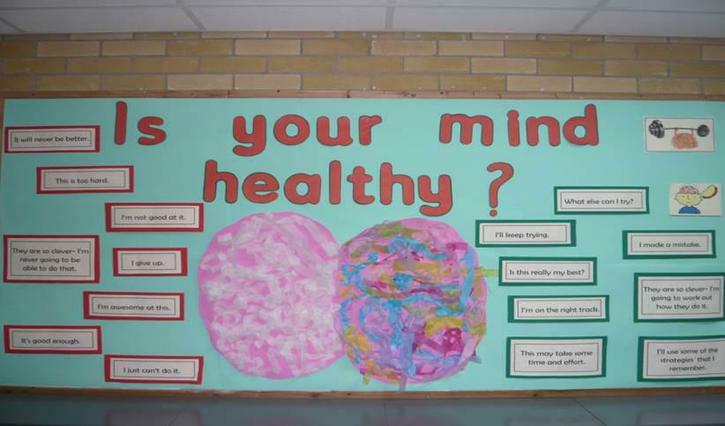 We also recognised that safeguarding is about keeping our minds and bodies healthy. Therefore our ‘Safeguarding Boards’ offer a variety of information. The boards are updated frequently for the children. 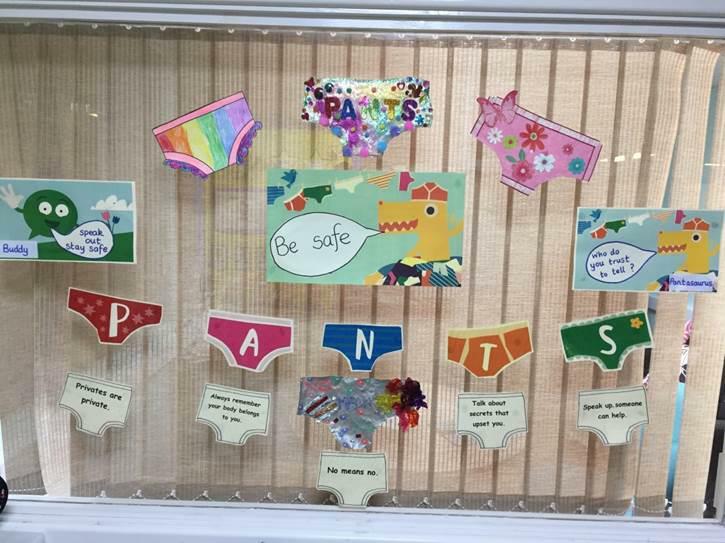 Challenge three: The children delivered an assembly to the whole school with guidance from NSPCC on ‘Pants are Private’. The aim of the assembly was to give the children a positive approach to looking after our bodies and safeguarding ourselves. They offered information on how to question anyone if they are feeling unsure or uncomfortable. 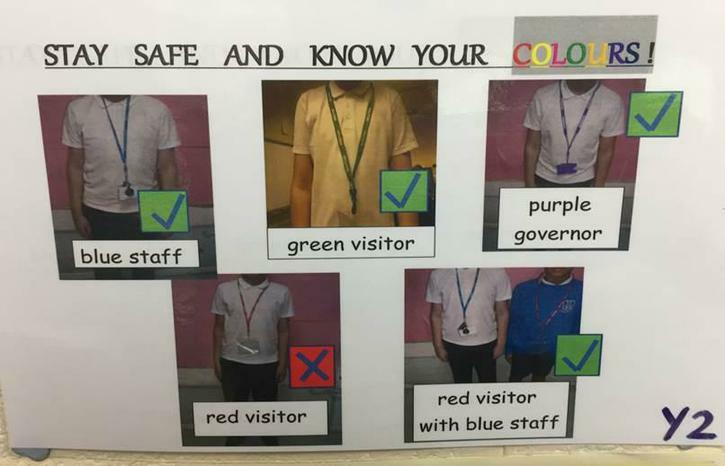 We provided the children with additional information on who to contact if they have concerns. Challenge four: Reminding children to have a positive attitude and be kind to one another. We are trying to teach our children how to be resilient and how to tackle challenges without becoming too upset or distressed or who to talk to if they feel they can’t tackle a particular challenge alone. Challenge five: This challenge is our ongoing challenge. We are trying to teach everyone how to be positive and safe online. We are teaching the children to stand out and be the change online and not follow crowd and engage in inappropriate online activities. We cannot control what websites and apps the children use, however, we do provide some legal information about apps and websites i.e. age requirement and parental consent. We have been providing children with information about games and apps appropriate for their age, which we have tried and tested. We have also been making children aware of the digital footprint and no matter what, anything they say and do online will always be with them. Our main message to the children is ‘If it’s something you wouldn’t say or do on the playground then it shouldn’t be said or done online’. We have had a very successful year working as a team and are currently creating an entry for ‘Childnet’ film competition to inform children about ‘Being the change- it starts with us’, more information to follow.